The hottest market in the country right now is…. Hobart. In case you hadn’t heard, Hobart is booming. At a time when Sydney and Melbourne are slipping, prices in Hobart grew a thumping 20% in the past twelve months! In fact, median prices in Hobart are now set to become more expensive than they are in Adelaide! Hobart is losing grip of its title as Australia’s most affordable city, with the average house price now on par with Adelaide, according to research. Hobart’s average house price for the April quarter was $470,000, up 19 per cent on the same time last year and by far the biggest increase of any other capital city. Report author and realestate.com chief economist Nerida Conisbee described Tasmania as “booming”. “Hobart continues to be red hot,” she said. “Tasmania is the hottest market at the moment in Australia, we’ve certainly never seen this surge in activity,” she said. “Hobart’s so strong at the moment that we are now expecting the median house price for Hobart to overtake the median house price for Adelaide. Jobs growth and very little housing development were the two factors pushing up prices, according to the report. “While property investors are likely to be a key factor in the price increases, strong growth in rental demand suggests that the market is being supported by people needing a place to live,” it said. How is it that little ol’ Hobart is booming while the rest of the economy is plodding along? The strong demand in part is coming from Melbournians priced out of Melbourne, and looking to get in somewhere they can afford. This is the ripple effect. As prices rise in one area, the lift ‘ripples out’ to neighbouring areas. That is probably also something that has changed. I don’t think you would have thought of Hobart as a ‘neighbour’ before. It was a qualitatively different market, and moving from Hobart to Melbourne meant choosing a radically different lifestyle. But that could be shifting. I know more and more people holidaying in Tasmania – thanks to MONA etc. It seems to have a pumping cultural life. And so perhaps people are looking at a move, and thinking that after you adjust for house prices and commutes etc, it could actually be a step-up in lifestyle and amenity. But even if it’s just coming towards par, that enables the ripple effect. 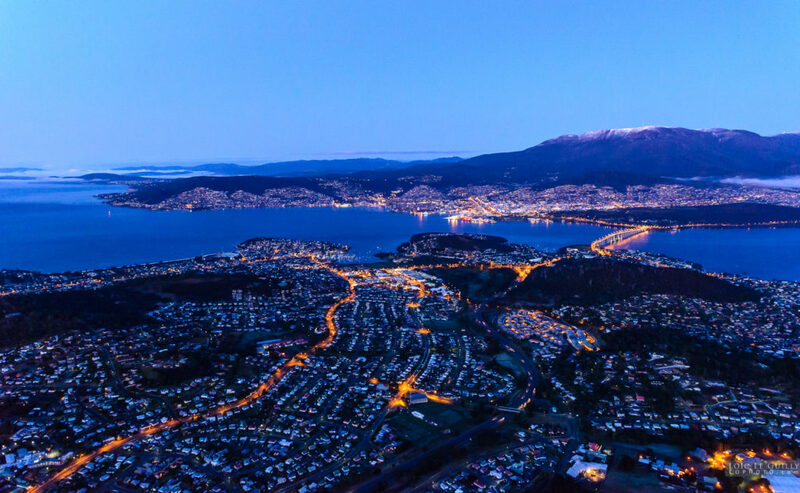 It enables cashed-up buyers to leave Melbourne and trade up into some better in Hobart. And so that’s going to be pulling Hobart prices up. But of course, there’s another factor too. The Chinese Buy. The Chinese Buy has seen prices drive higher in Sydney and Melbourne, especially in prestige markets. But it now looks like the Chinese are falling in love with Hobart too. Plans by Chinese businessmen to build a $100 million tourism town on Tasmania’s east coast have ­created hope for jobs, but a lightning rod for concern at mass tourism and foreign investment. So it’s the ripple effect, it’s the Chinese Buy, it’s an undersupply of houses. It’s the same factors that drove the mainland boom between 2013 and 2016. Hobart is just catching up.